Our friend and colleague, W. Scott Herzog, passed away on May 23, 2017, at the age of 83. 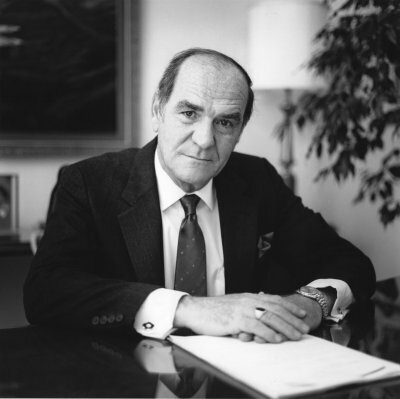 Scott was a leading partner in the law firm of Barnett, Ratelle, Hennessy, Vander Vort, Stasel & Herzog which merged with the law firm of Moss, Flaherty, Clarkson & Fletcher to form the law firm of Moss & Barnett in 1983. He served as a director of both firms and chaired the firms' litigation departments. Scott was a highly respected and skilled trial attorney. He handled a variety of complex litigation subjects, including products liability claims, professional negligence, insurance law, and catastrophic casualty losses for both plaintiffs and defendants. He was co-counsel for the plaintiff on the highest medical malpractice jury verdict in Minnesota history, and he argued and briefed many leading decisions before the Minnesota Supreme Court on auto insurance coverage law. Scott received his J.D. from the University of Minnesota Law School and his B.A. from the University of Minnesota. He was a member of the American, Minnesota State, and Hennepin County Bar Associations. Scott was beloved and deeply respected by all who knew and worked with him both in the trial bar and at Moss & Barnett. He mentored and trained a generation of young attorneys who went on to achieve great success in their own careers. Scott will be deeply missed by those who knew him as their trusted lawyer, colleague, and friend.